Tired of high-maintenance and short-lived plants in your landscape? Let “The Bulb Hunter” Chris Wiesinger share his knowledge of versatile, sustainable, and low-maintenance old-fashioned bulbs, those favorites of our grandparents that have THRIVED for decades with no pampering or care at all. 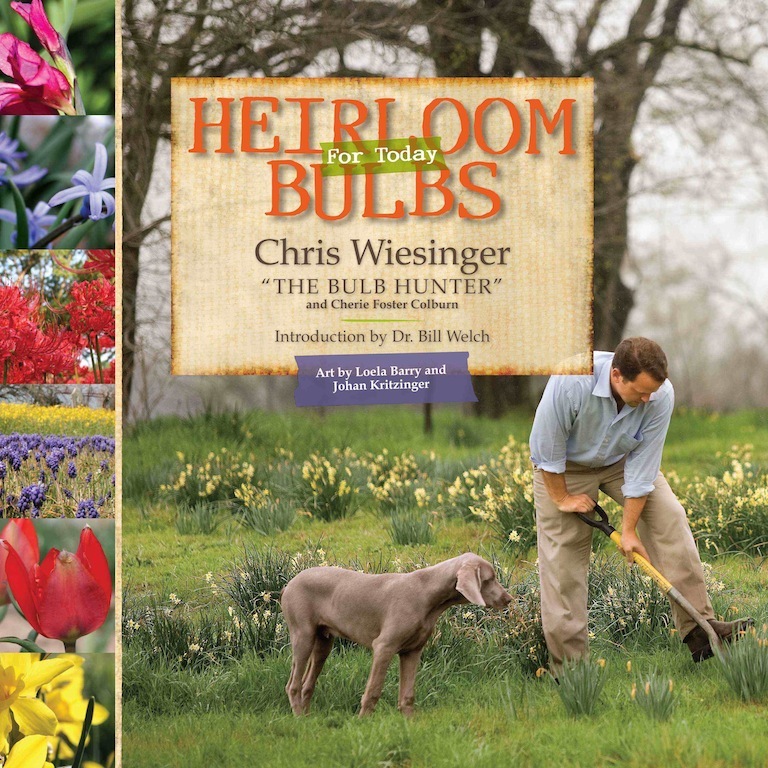 HEIRLOOM BULBS FOR TODAY introduces the best bulbs for any space,called “the comfort food” of the plant world. Chris teams with landscape designer and award winning author Cherie Foster Colburn to offer one of the most innovative gardening books you’ve ever seen. While most garden guides simply tell the culture of the plant, HEIRLOOM BULBS FOR TODAY also tells the culture of the people who grew the plant, unearthing each bulb’s past and those who loved it. Gorgeous botanical illustrations and vivid photographs by South African artists Loela Barry and Johan Kritzinger add rich flavor to featured bulbs found flowering with abandon in historic gardens, homes, and cemeteries, transporting readers on their own bulb hunt. Heirloom Bulbs for Today is available at your local independent bookstore, online book vendors, or you can find an autographed copy at MY local bookstore!